As we reported yesterday, a group of DC fans angry that Man of Steel, Batman v Superman: Dawn of Justice, and Suicide Squad have been savaged by critics quoted on Rotten Tomatoes, have launched a petition to shut down the site. The petition, located here, has already surpassed 15,000 signatures since it was started yesterday. Many of those signatures are likely due to heavy media coverage of the petition, drawing attention to it. The fact that much of the coverage and most of the comments on those stories have been aimed at making fun of the petition and its creators doesn't seem to have made a significant difference. Currently, the movie review aggregator -- which collects the reviews of critics that meet their requirements, converts their reviews to simple "fresh" or "rotten" (good or bad) judgments, and then assigns a score to the movie based on the percentage of "fresh" reviews, has Batman v Superman sitting at 27%, Suicide Squad at 32%, and Man of Steel at 55%. Fans scored Batman v Superman 65% fresh, and Man of Steel at 75%. Suicide Squad hasn't yet opened up fan voting because the movie's official release happens tomorrow at 6 p.m.
Metacritic, another review aggregator with a different method for calculating the "real" score, comes up with 44% for both Suicide Squad and Batman v Superman. Batman v Superman currently has a 7 (out of 10) rating with fans on Metacritic. The difference in scores between Rotten Tomatoes' 32% and Metacritic's 44 for Suicide Squad likely comes down to who's being asked. Metacritic draws from a different pool of reviews than does Rotten Tomatoes, and they take things into account like the actual "score" in a review. While an A+ rating can earn a movie 100 "points" toward a weighted average at Metacritic while a C+ earns it just 58, Rotten Tomatoes would assign both of those reviews a "fresh" rating and the same score. See also a C- score versus an F for "rotten" movies. 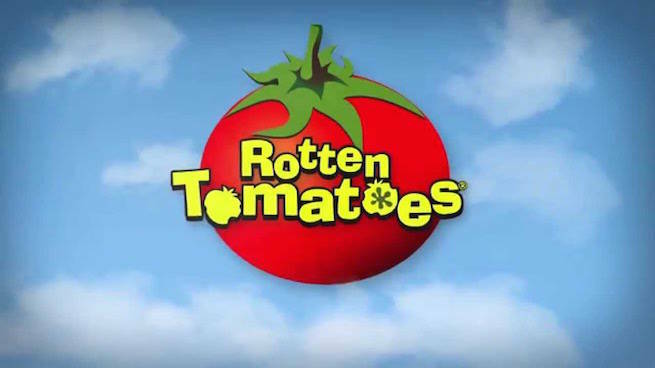 Rotten Tomatoes also tends to skew more toward traditional media, with the internet -- particularly fan and specialty press outlets -- less or unrepresented. This means that the people who are most enthusiastic about certain types of films -- particularly things like non-Marvel comic book movies, which are made to preach to an audience of the converted -- tend to take a hit. There's a (not entirely unfounded) perception that Marvel Studios have more success with "traditional" critics because they've cracked the code to making broadly appealing superhero fare, essentially by taking action movie conventions and using them to tell superhero stories.